Hi, I’m Thomas J Vetter, let’s talk about How to the maintenance of your hybrid bike. It’s a important a bike checks something you should use before. You head out on your bike every day. This is something I do it’s just a total habit. Over the years of riding and even if I know my bike was maintenance by the tour de France team mechanic. I always would do the same thing every morning. One is I always check my own skewers or that my wheels are put on right and tight enough. I would gently tug on this feel the tension feels good to me. I’d close it back up, I check my tires align properly between my brakes and the fork. I usually would give it a spin tap the brakes. I make sure that my brake pads are properly aligned so that when I pull the brake on to the rim. They are touching the rim not rubbing my tire. If they were rubbing my tire and I began breaking I would quickly blow out my tire and have a flat tire. I’m going to do the same on the rear of the bike. I’m going to check my skewer that it’s tight I can feel the tension just there by pulling. It back feels good I close it up. I checked that it’s centered and then I check my breaking service. The breaking pads are on the braking surface of the rim. If I did need to adjust a lot of breaks on these top and bikes even most bikes. You can do it manually. Just by grabbing the break and centering. It yourself there’s a little there is allowed a little bit of giving theirs by the bolts that connect a break to the bike. The other thing I’ll check is that my headset. This is my headset or that my handlebars are tight, so I do that by grabbing my front brake and just wiggling back and forth the bike a little bit. And I dropped the front and make sure there’s no noise. I know that everything up here is nice and snug and tight and safe. So, I might check that my saddle isn’t slipping check my tire pressure generally ride. I would recommend checking the side walls of the tires will tell you how much pressure usually. It’s somewhere up to about a hundred and 20 psi or you might hear like term 88 bars. Let’s see what else I checked my chain everything looks good. I think I’m ready to go. I’m ready to ride bike checked out well now going on to some general maintenance when I get back from a ride especially. If it rained I rode through some muddy terrain or some dirt. I want to do a general cleaning most of the time, If it’s nice out just take the general wipe down with a cloth maybe a damp cloth. I wipe my frame all my components and everything now. 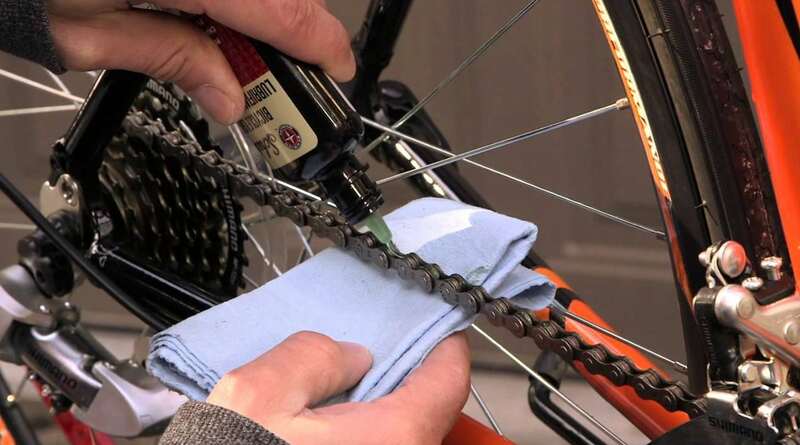 If my chain gets dirty I might use a degreaser to clean the chain on a cloth just using a cloth holding. It on the chain spinning back. While I clean the chain and then I’m going to apply oil again I’m going to oil my chain my derailers. I’m an oil even a little bit my housing on my brakes. Then I’m going to go back with a cloth and I’m going to wipe down everywhere that I that I oil or lube my bike and that way. I won’t collect excess dirt because that Greece is going to draw dirt on the bike. 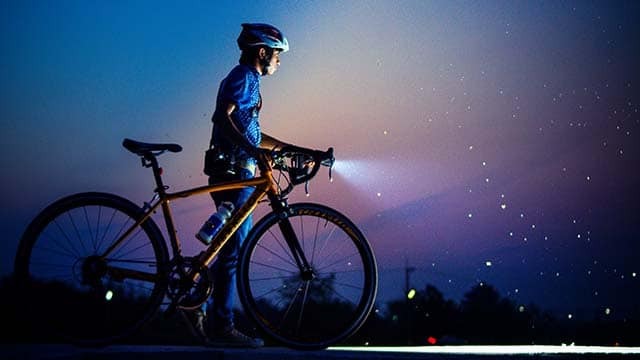 You can also wash your bike with the light soap and water. But don’t use any heavy soaps because you don’t want to damage any of the material.